Northwestern Medicine scientists explored a protein involved in the activation of B-cells, white blood cells that produce antibodies. With new research published in Proceedings of the National Academy of Sciences (PNAS), Northwestern Medicine scientists add to a body of work demonstrating that a protein called Hrd1 may be an important target for treating autoimmune diseases. In this study, a team led by Deyu Fang, PhD, professor of Pathology, focused on a process that stops unwanted activation of B-cells, white blood cells that produce antibodies. 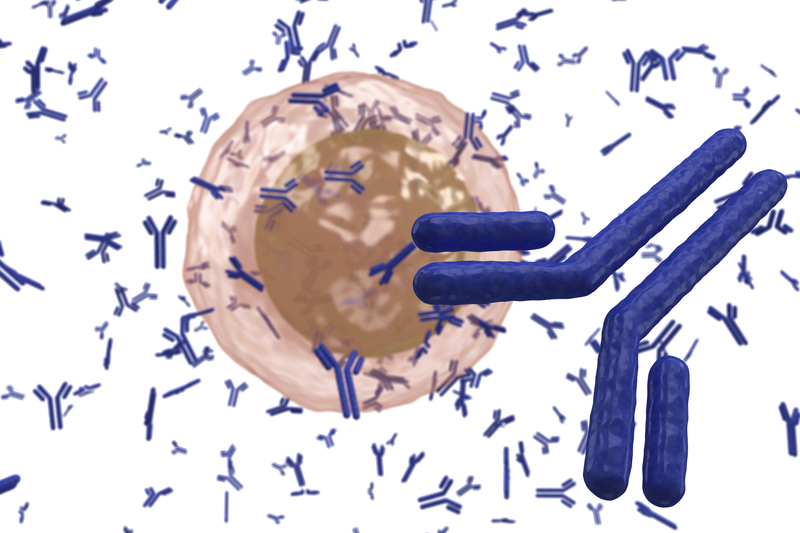 Normally, antibodies ward off harmful pathogens, but in autoimmune diseases they attack healthy cells. The scientists revealed that Hrd1 in the endoplasmic reticulum, a network of interconnected tubes within cells, helps regulate B-cell immunity. Earlier this summer, Fang’s group published a paper that showed decreasing Hrd1 helps white blood cells distinguish between a body’s own cells and foreign antigens. This study was supported by National Institutes of Health grants R01 Grants AI079056, AI108634 and AR006634.